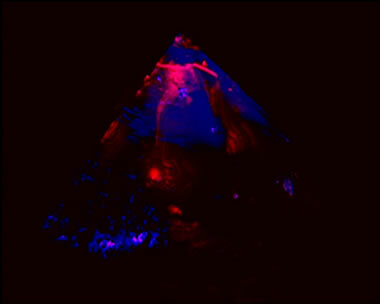 In Pyramis, two different sources of light and two colours are modelling an object of concentrated composition. 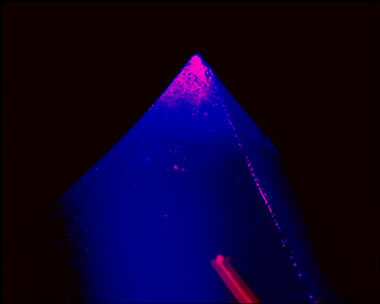 Blue light is building walls – surfaces, the red light is piercing through the blue, filling the inside of an architectural object. 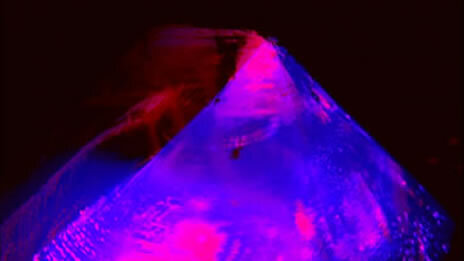 The film is constructing and deconstructing the composition of a pyramid. 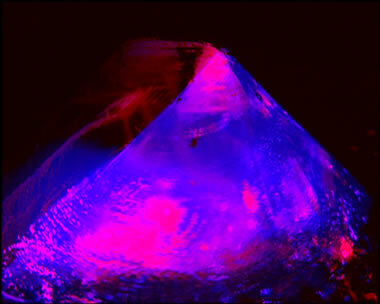 It shapes lights and colours – into spaces and masses. Creates real from abstract.